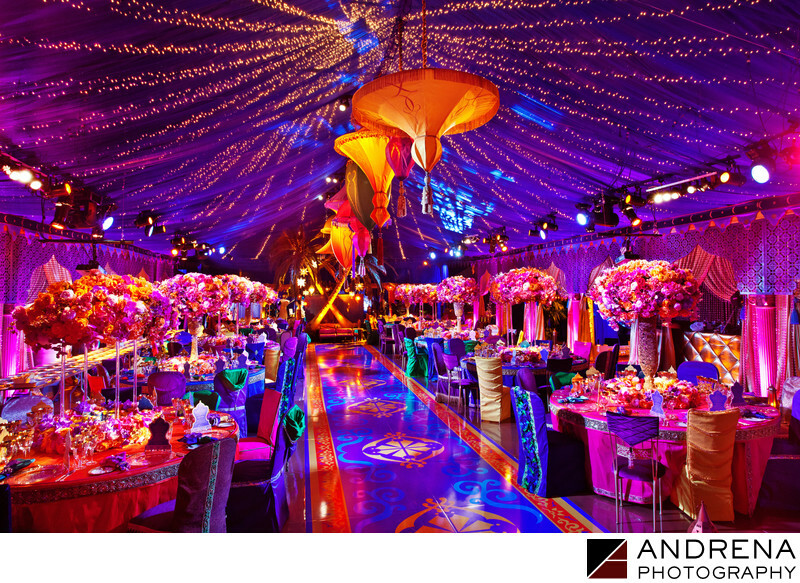 As a Los Angeles event photographer, I have encountered numerous stunning ballrooms, but few can compare to this Aladdin-themed party created by Sonia Sharma Events. With design and decor by Revelry Events, and flowers by The Empty Vase Florist, this party was one in a million. Every single detail was perfection, and the event itself was published in Grace Ormonde Wedding Style.